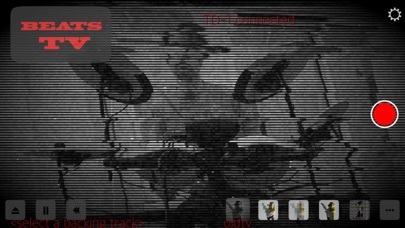 Drum controlled music videos! 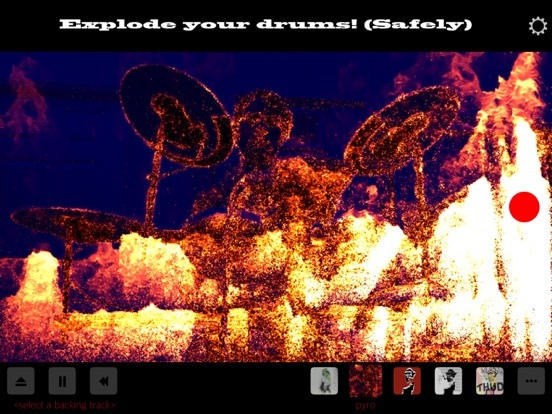 25 reactive video filters respond to your MIDI drumming live as you play. 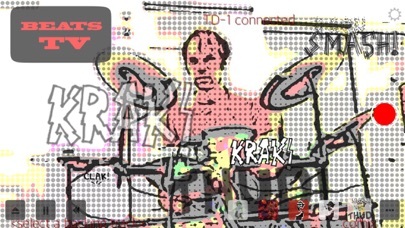 Metal shaders turn your camera video into a variety of animated pop art abstractions, motion sensing effects, trippy distortions, psychadelic colors, glitches and more. 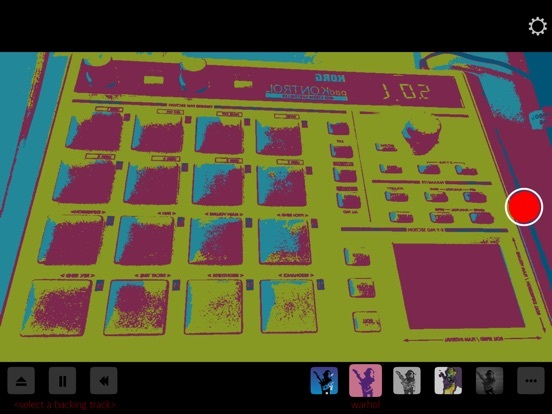 Then each kit piece (kick, snare, hats, cymbals, toms) controls a different aspect of the filter to generate beat synced visual effects. 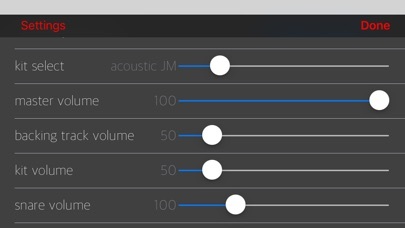 You can mix in backing tracks from your iTunes library to jam to. 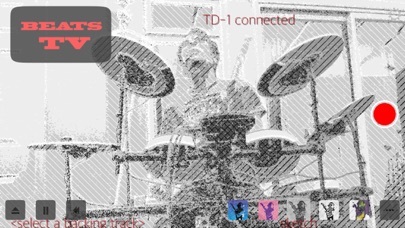 Includes 7 sampled drum kits mapped to work with Roland’s TD-1 drum set to get started quickly, or use your own audio input. 1. Connect MIDI drum source (e.g. 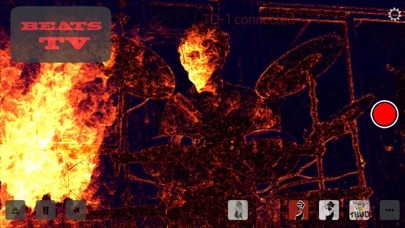 Roland TD-1 drum set, KORG padKontrol, iOS MIDI apps, or DAW via network MIDI). 2. 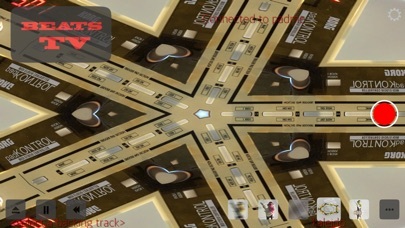 Select backing track, drum kit sounds, adjust mixer settings for optimum audio sweetness. 3. Press big red button to RECORD video. 4. 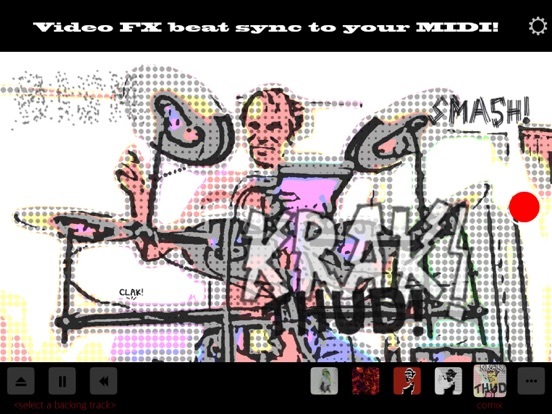 Make your most melted rock star faces and lay down sick beats to generate funky video effects! 5. Press big red button to STOP and save to camera roll. 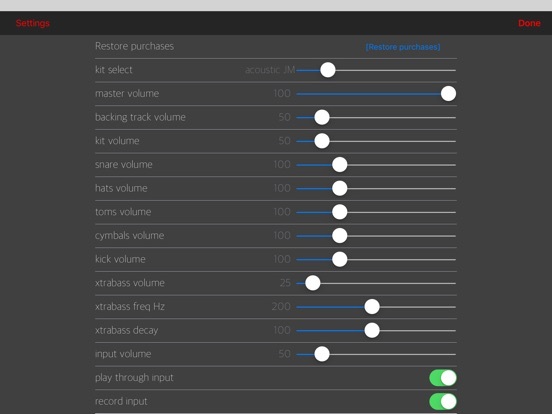 Live drums are a great way to explore what the filters can do, but you can also connect other MIDI compatible iOS apps such as Patterning, Funktris, or even a network MIDI session with your computer DAW e.g. 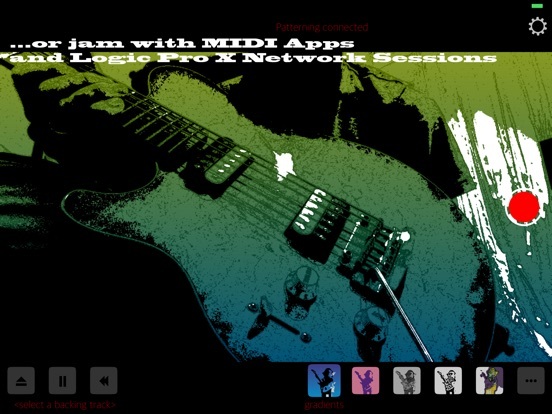 Logic Pro X for detailed programming like selecting different filters via MIDI program change events. 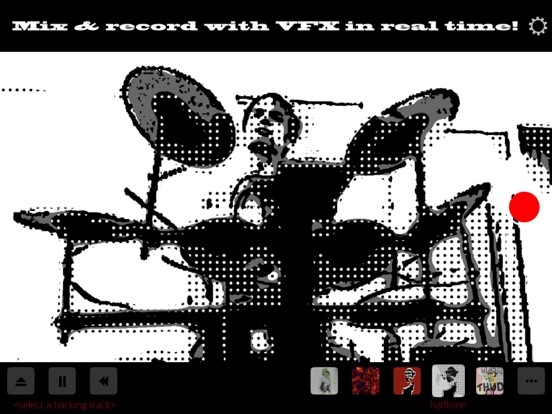 This way you can make a funner-than-usual video of your singing, dancing or instrumentals even if you don't play drums. 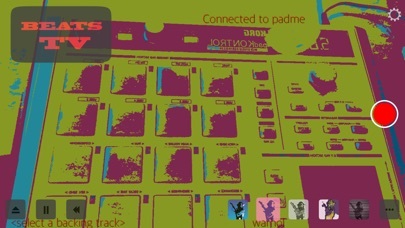 Note for TD-1, padKontrol or other wired USB MIDI instruments: you also need a USB to lighting connector such as the Apple Camera Connection Kit. 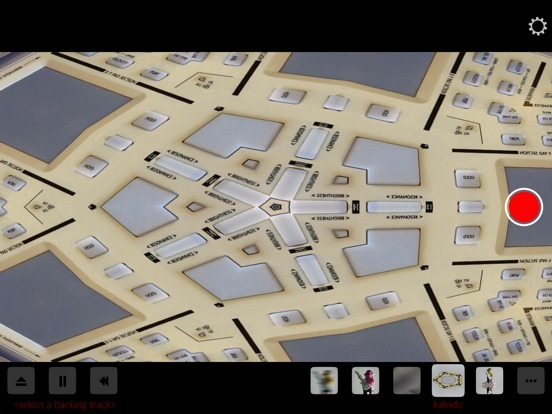 And please do share your creations and/or let us know what effects you'd like to see in future updates! +Switch between front and back cameras. +Tap to hide interface buttons.